Mayflower: Chinese Food Done Right | AYAH! WHOA. Stop right there. That is NOT what you want to order at a Chinese restaurant. First of all, go to a place where you see other Chinese people eating. 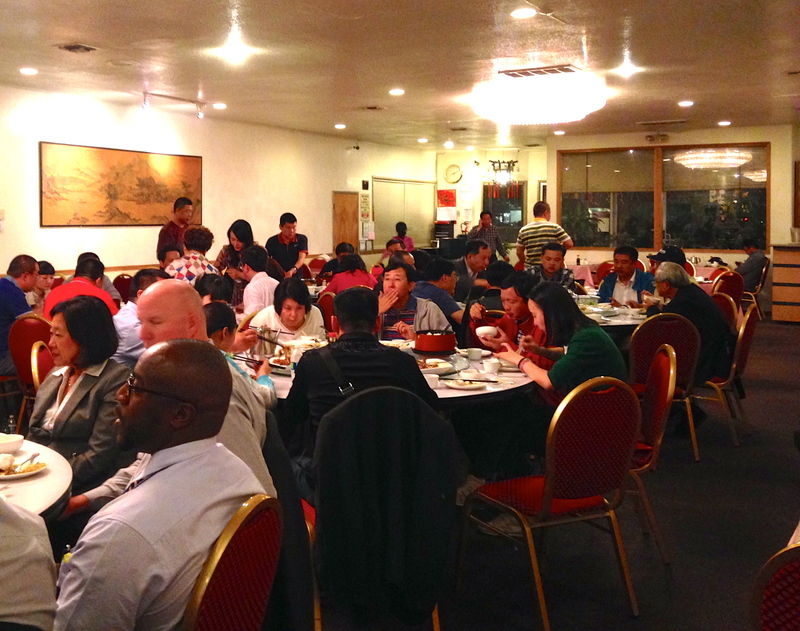 This picture was taken at my last visit to Mayflower Chinese restaurant in Sacramento. The place was empty when we first got there. Then all of sudden, a huge bus load of people came in. They were all tourists from China. That’s right, tourists. From China. And they all dipped into Mayflower to eat. Now, THAT’S an “AYAH!” approved restaurant. Pay-pah: Deep-fried tofu stuffed with seafood, shrimp and scallops over a bed of baby bok choy. This is an off-menu item (and you must call ahead). It’s easily one of my favorite Chinese dishes. Such great texture and flavor! And Mayflower is the only restaurant I know that does it. 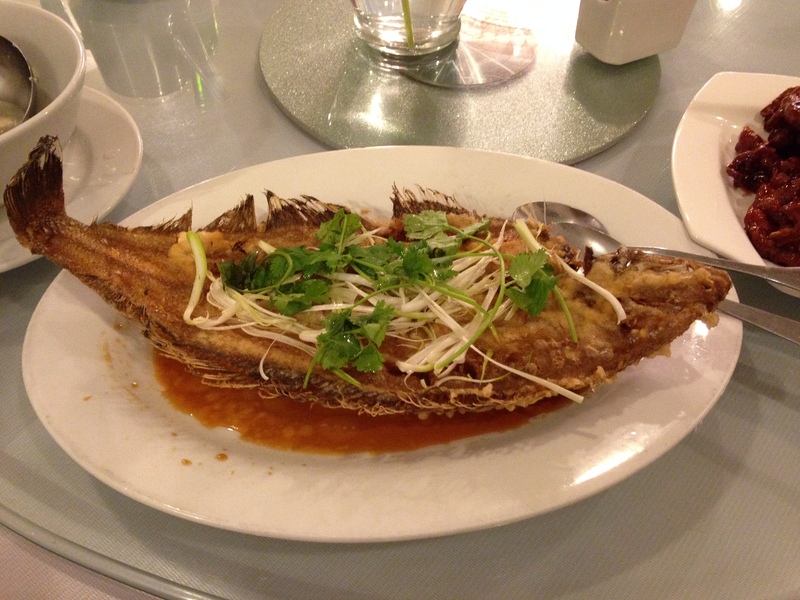 Deep fried flounder. Yum! Ask the server to de-bone it for you and dig in! 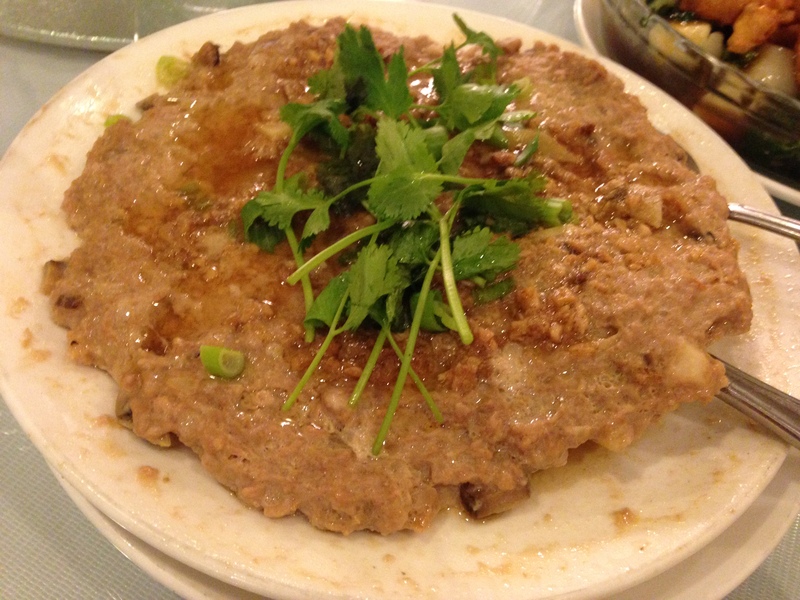 Steamed pork patty with salty fish. Oh, and there were vegetable too. 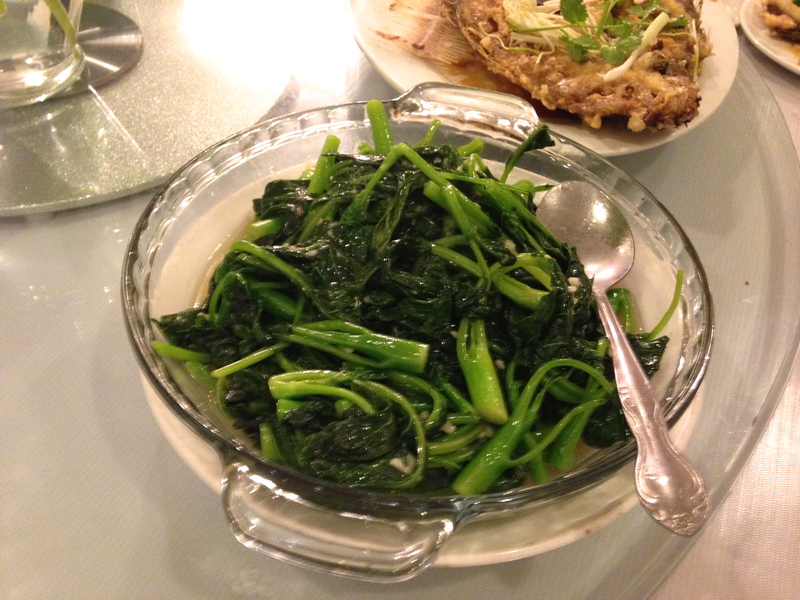 We brought in this Chinese baby broccoli, which the staff cooked for us. And there was even more! But you get the point. Next time, take a chance and try something new! You might be pleasantly surprised! 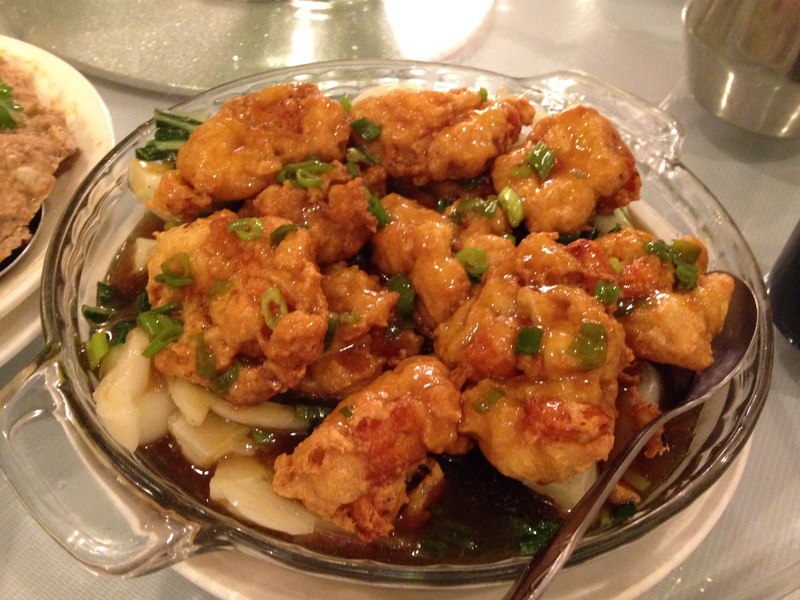 But definitely go check out Mayflower Chinese restaurant at 3022 L. Street in Sacramento. And tell Sam we sent you! Credit to the lovely Lana Chong for her help with this post.